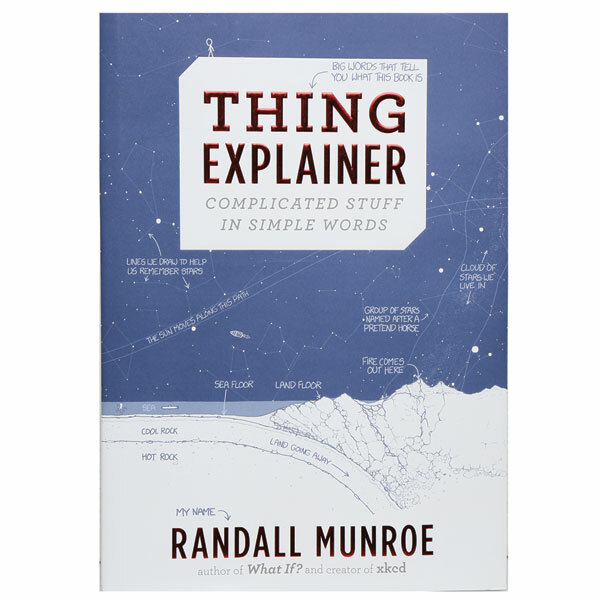 Using only the most basic words, stick figures, and blueprint-like illustrations, #1 New York Times bestselling author Randall Munroe, a former NASA roboticist turned web cartoonist, explains super-complicated things like smartphones, data centers, nuclear reactors, tectonic plates, and the International Space Station ("the shared space house"). Bill Gates calls it "brilliant...a wonderful guide for curious minds." Hardcover, 64 pages.